!! Latest 2015 !! We only have only Silver/Stainless Steel in stock. Other colors will be available soon. The Eleaf have done a great job in iStick series and now with the launch of new Mini iStick 10W kit, it is just got even smaller! The Eleaf iStick 10w Mini is the perfect little vaping device. Measuring just 52mm in length, it's virtually undetectable making it a perfect fit for the palm of your hand and easy to store in your pocket even while an atomizer is attached. About half the length of its original version, the Eleaf iStick 20W. It is s a tinier and simplified version of the original iStick. It packs a whopping 1050mAh battery, can be adjusted from 3.3 to 5 volts and and it can handle up to 10W. Eleaf iStick 10W Mini is chargeable via a mini USB port and this tiny mod is the smallest box mod battery currently available in the vaping industry. A 3 Digit LED Screen rounds off this impressive Mod. The battery display indicator on top allows you to easily see remaining charge. 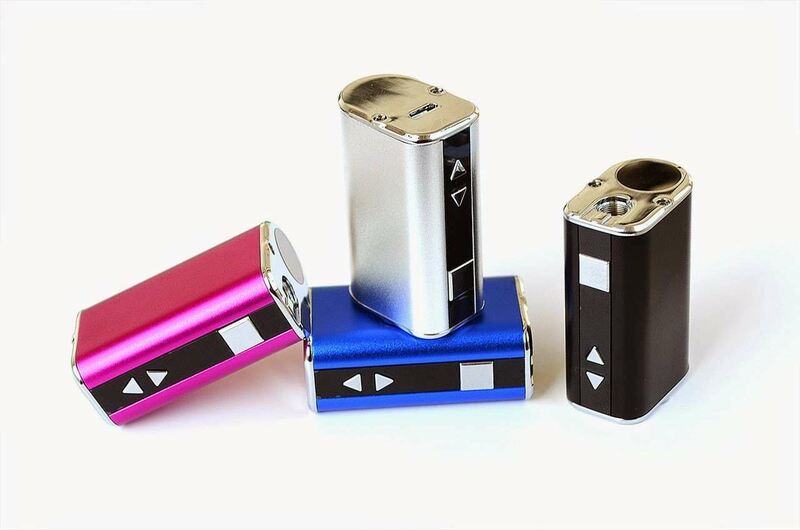 With the iStick 10w Mini, you will be able to carry a pocket friendly device while still enjoying a satisfying vape! Eleaf Mini iStick 10W is a tinier and simplified version of the original iStick. Its length is only 52mm (approximately 2.1 inches) making it a perfect fit for the palm of your hand and easy to store in your pocket even while an atomizer is attached. The battery capacity is 1050mAh despite its diminutive stature and it can handle up to 10W. How to charge - Mini iStick can be charged through USB port at the bottom of battery. It will take 1.5 hours to charge the battery with 1A wall adaptor. Adjustable Voltage: Press the up-and-down arrow buttons to increase/decrease the working voltage between 3.3V to 5.0V.